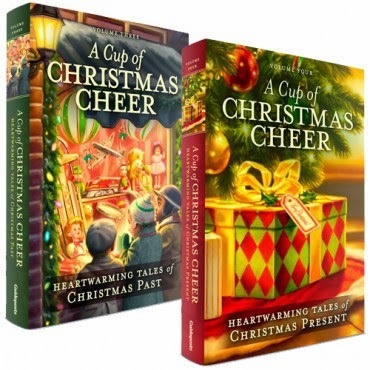 Anita Mae Draper has another sweet story published in Guidepost’s Christmas collection for 2014 --A Cup of Christmas Cheer, Heartwarming Tales of Christmas Present. Last year, her Riding on a Christmas Wish debuted her delightful skill as a writer and so it was no surprise when they asked her to contribute again. Here We Come A-Wassailing is a contemporary story with the heart of a historical. Set in cold and snowy North Dakota, the story is set on Christmas Eve. If it was any other night, Joan Rigler would be content to stay off the roads, but it’s the first Christmas since her father died and she’s not about to let her mom spend the holiday alone. With a big, sturdy vehicle, Joan starts out, promising her mother she’ll drive carefully—and trying to convince her not to worry as she waits. A series of coincidences—if you believe in them (wink wink)—has Joan adding passengers along the way. Rather than give away any more of this story, I’ll just add more about Anita’s writing. A lot of Anita is in this story. I know she’s been on some nasty highways in harsh winter weather. And I know the heart she has for people, and the friendliness she offers. If you’ve met Anita, you know it too. It’s so easy to sink into this story and join them in that wintry drive. The details and the emotions are there, and wrapped around me. The perfect evening read that will leave you with a smile and a warm holiday glow in your heart. I haven’t had the chance to read the other stories in A Cup of Christmas Cheer, but if they’re anything like Anita’s, this set would make a wonderful purchase for yourself or as a gift. Read it and pass it on, or enjoy the books again next year! A Cup of Christmas Cheer is a delightful collection of original fiction written just for Guideposts readers and hand-picked by the editors at Guideposts to make your Christmas merry and bright. Each story offers the perfect opportunity to take a short break from your holiday planning and escape into an uplifting adventure. Everything you love in heartwarming Christmas fiction is in A Cup of Christmas Cheer — faith-based plots, captivating writing, lovable characters and hopeful endings that warm you from head to toe. You’ll love the way these stories whisk you away and how each has a heartwarming Christmas message of redemption, forgiveness, hope, and faith. Debra Marvin... you humble me. Thank you so very much for this wonderful review. Great, great review, Deb! Anita, congratulations again. I'm really so happy for you! Thanks! It was a pleasure to read and I know a lot of people are going to be blessed by this gift set this year and many more years!